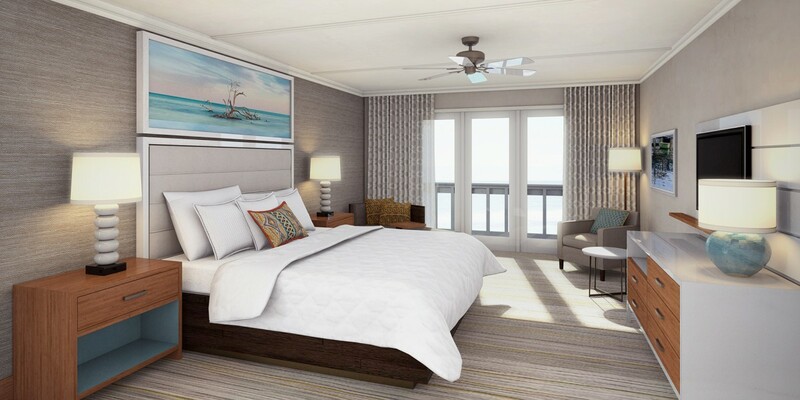 Sheraton Hotels & Resorts, part of Marriott International, Inc. (NASDAQ:MAR), today announced the addition of the Sheraton Bay Point Resort, located along Florida’s idyllic Emerald Coast in Panama City Beach. Managed by Crescent Hotels & Resorts, Sheraton Bay Point Resort recently finished a $30 million top-to-bottom renovation and is poised to offer a new level of accommodations and amenities to travelers and locals alike. Nestled within a 1,100-acre wildlife preserve on St. Andrews Bay in Panama City Beach, the property is thoughtfully designed to capture the distinctive vernaculars of light, water and openness. Immersed within the resort’s natural beauty and wildlife, the property boasts 200 well-appointed guestrooms and suites in the main building and 120 golf villas offering unparalleled views of the pristine waters of St. Andrews Bay and the fairway greens. The resort also features three outdoor pools, a variety of watersports, onsite marina with fishing and water sport rentals, five HydroGrid™ lighted clay tennis courts, fitness center, and a picturesque 300-yard boardwalk to the resort’s private bay beach. Framed by palm trees and the bay, the resort has two championship golf courses, including the only Nicklaus designed course in Northwest Florida. The golf courses are complemented by a pro shop, clubhouse, golf villa pool and Club 19, a club-style restaurant with classic entrees. The iconic Nicklaus Course stretches over 7,000 yards and challenges players of every skill level with the natural terrain of majestic scrub oaks, towering Florida pine trees and salt-water marshes. The Meadows Course provides golfers with ever-changing challenges with tight fairways, bunkers and lakes scattered across the 6,913-yard course. The Serenity Spa at Sheraton Bay Point Resort boasts 12,000 square feet of ultra-modern spa and salon facilities with an impressive selection of more than a hundred beauty and pampering services. With light and healthy fare available throughout the day, the spa serves as the ultimate haven for discerning travelers to relax and rejuvenate. Designed as a fresh and sophisticated oasis, The Serenity Spa offers a full menu of signature services, including body and skin treatments, massages and facials, as well as manicure and pedicure services. The Serenity Spa has partnered with Zents, allowing for guests to customize their experience by combining specialized scents with their treatment. The hotel’s signature restaurant Tides, offers American fare with a southern twist. The view is matched only by the impeccable fresh seafood and curated experiences. For more casual fare, Pelican’s, an open-air beach bar located at the end of the pier, invites guests and locals in for fish tacos and burgers. Relax while listening to live music on the deck, while taking in picturesque sunsets; Hammocks Beach Bar, located on the Bay Beach, offers snacks with local craft beers and simple cocktails in a unique and secluded environment with 360-degree views of St. Andrews Bay. With – spacious pre-function areas, the resort features 60,000 square feet of flexible indoor and outdoor event space including a 12,000 square foot ballroom; 8,000 square foot junior ballroom; eight additional breakout rooms; 22 individual meeting rooms; an outdoor pavilion; private bay beach and outdoor lawns, among other venues that cater to every group’s need and palate. Sheraton Bay Point Resort is just minutes from the beaches on the Gulf of Mexico, Gulf World Marine Park, Captain Anderson’s Marina, and the shops at Pier Park, restaurants and bars in Panama City Beach. The resort is also within close proximity of Beaches International Airport (ECP) and Fort Walton Beach Airport (VPS). For more information about Sheraton Bay Point Resort, please visit sheratonbaypoint.com.